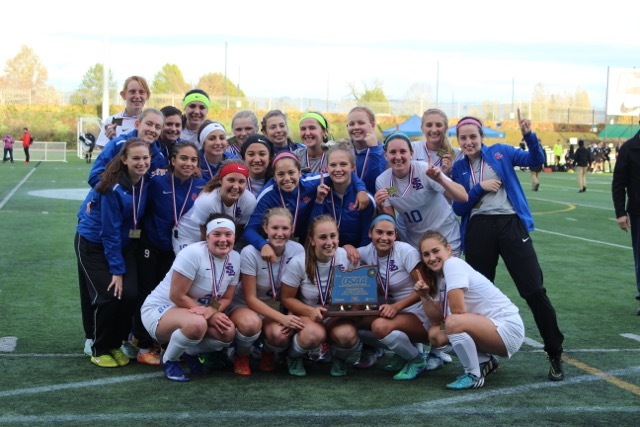 Lady Falcons will get to hang another Championship banner in the gym, but it will be the first ever for Girls Soccer in the school’s 50 year history! Happy Anniversary La Salle Prep!! 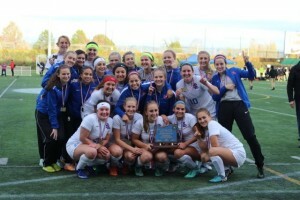 They overcame the loss of 2015 State Final to Summit, and following a 2-0 lead in the first half, had to top off the Silverton Foxes in a penalty kick shootout to become the 5A State Champions. Falcons won 4-2 in PKs to win 3-2. Freshman, Jacqueline Blakeley was named the Moda Health Player of the Game and was also named the NWOC Player of the Year. LOCATION CHANGE. Please note the Fall Awards will be held in the Auditorium instead of the Cafeteria. We hope you can join us in celebrating all Fall Falcons in the AUDITORIUM at 7pm on Wednesday. Beverages and Cookies are served; no tickets or rsvp required. Family and friends are welcome to attend. 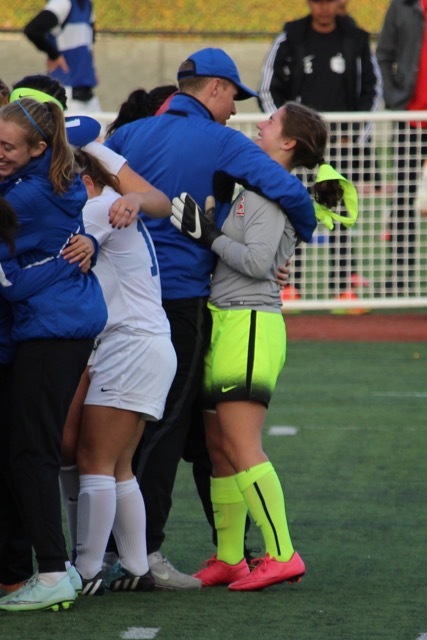 Varsity Girls Soccer will meet at another time TBD. Varsity Boys Soccer have already met. 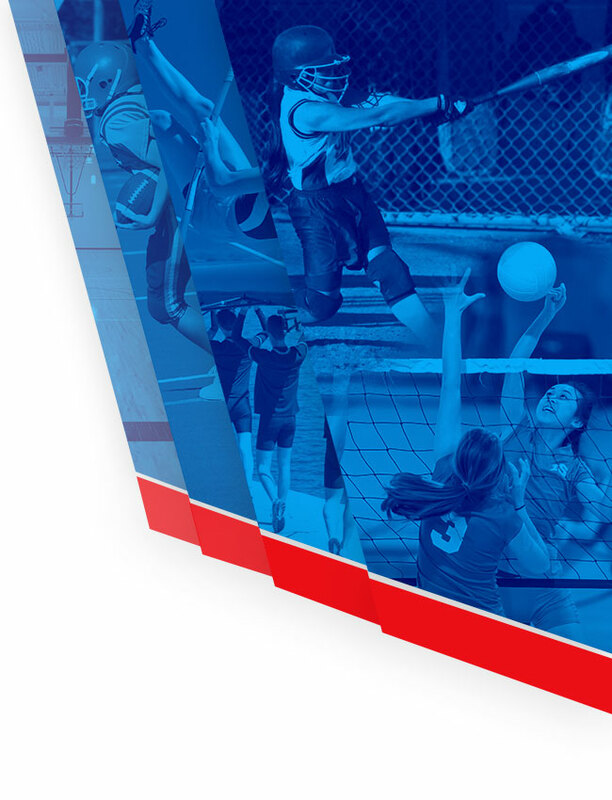 This is a great time to complete the SurveyMonkey Coach Evaluation and share your experience with us. 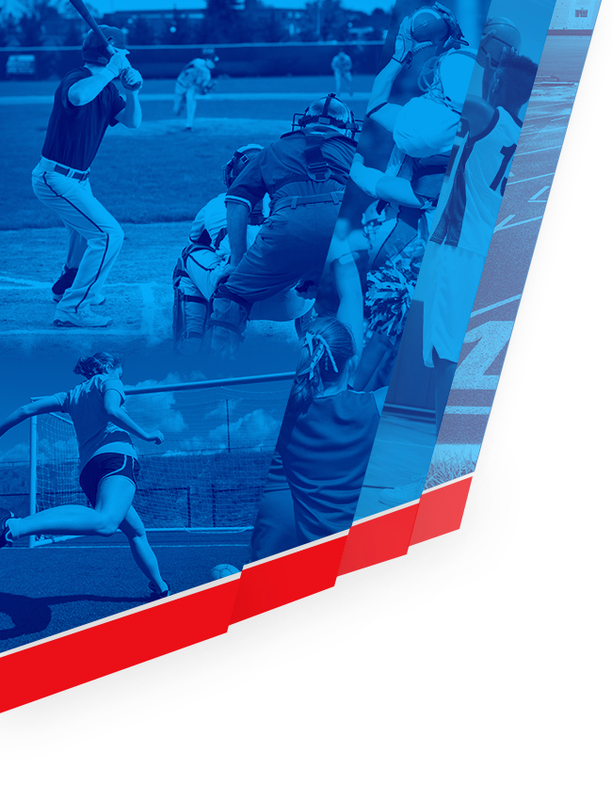 We will strive to use this information to better our athletic programs. 7. Students must have no outstanding fines, fees, or other school property, which hasn’t been turned in to the Athletic Department. Parents of students who fail to turn in their team-issued gear will be blocked from Powerschool. Seniors who fail to turn in their team issued gear will not be able to pick up their cap and gown for graduation. ** 24-hr processing in effect for late registrations. Individual clearance notes will not be given.